Creator of “Upin & Ipin”, Les Copaque is currently under fire for the alleged sudden termination of well-known cartoonist Ibrahim Anon, better known as Ujang, as the adviser of that series’ comics magazine. The ratings of the company on their Facebook page has been dropping drastically from 5 stars to 1 star in less than three days with many leaving distasteful remarks in the comments section with the hashtag “boikotupinipin” trending on social media. The issue first came to light when Ujang posted a statement on his Facebook about his termination, gaining sympathy from his fans nationwide. In his post, he mentioned that six years ago, a representative from a small publishing company approached him, asking him to teach them how to publish comics. Though he refused at first, according to Ujang the representative kept pleading him to join. At first, Ujang requested for a salary of RM15,000 for all the publishing operation and process including pagination, permit application, printing control and others, but since the company is relatively new, they supposedly only paid him RM2,000 per month and hired him as the advisor of the comics. After six years, as the said company has already gained experience, Ujang said that they decided to fire him with a 24-hour notice via text message. This time, Ujang was doing the begging for them to reconsider, but he says that his request was ignored. Ujang’s post has sparked rage among many of his long-time comic fans who took to social media to condemn Les Copaque for their supposed inhuman action. 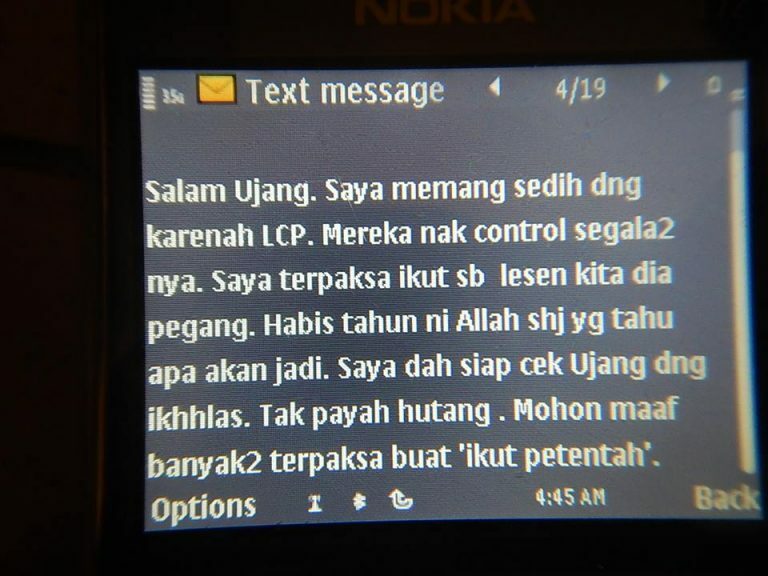 But Les Copaque’s owner and managing director Burhanuddin Md Radzi claimed that they weren’t the one who fired Ujang. 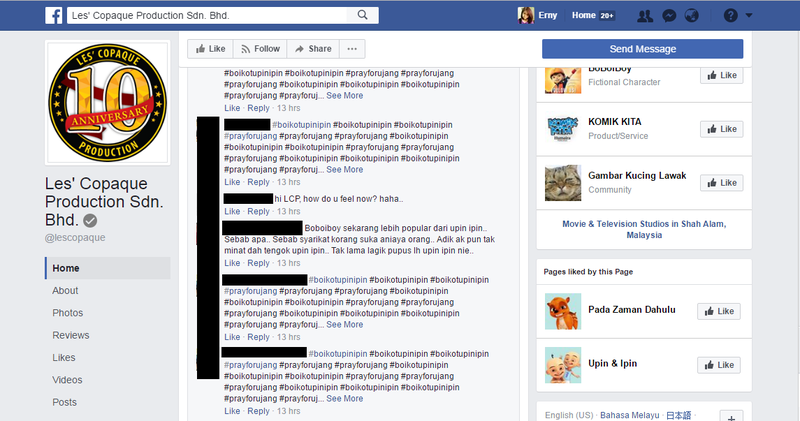 The person who took the action was the magazine’s publisher Nyla Sdn Bhd, a licensee of “Upin & Ipin”. According to Malay Mail, Burhanuddin was not even aware that Ujang was the appointed adviser of the comics. Things got even more confusing when Nyla’s owner Tunku Maziah Tunku Mukhtar said that her action was under the instructions of Les Copaque production. 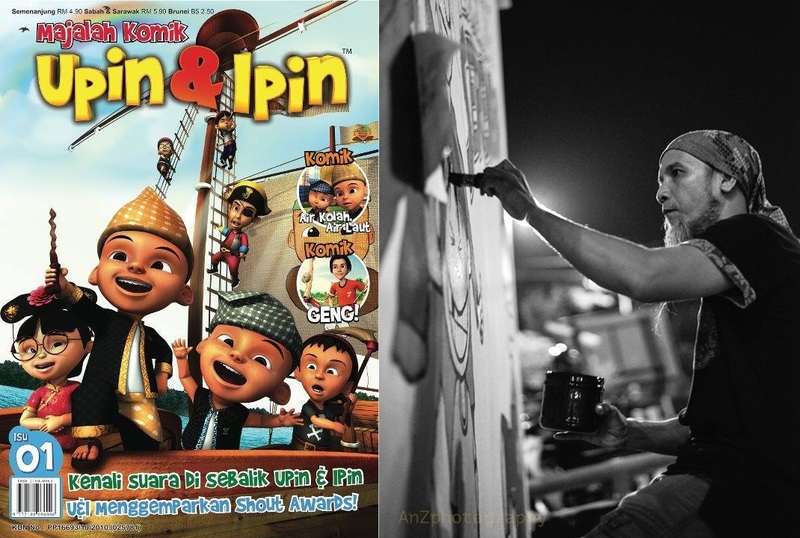 “Since two months ago, the content of Upin & Ipin veered off the track. We find that not only are they not relevant to kids, but there is also cooking content inside,” Burhanuddin said as quoted, referring to the comics magazine. “As a comics publisher, she should suggest how to increase sales. But when she went away and returned, she said the adviser told her to change nothing,” he added, referring to Tunku Maziah. “Ujang has brought up the issue on social media to get the public’s sympathy, and Les Copaque gets the bad name, we are victims of situation,” Burhanuddin said. Meanwhile, Tunku Maziah commented that she was being direct with Ujang about terminating his services. “We were under the impression that this was an amicable parting,” said the director of the publisher, Nyla. “Considering that we have honoured our agreement for the past seven years despite minimal input on his part, it was disappointing to hear that Ujang took to Facebook with an unwarranted post after collecting the cheque for April’s fee on 5th May 2017,” Tunku Maziah said in a statement. Since last February, Nyla had decided to restructure the comic magazine to boost sales, but since Ujang was not agreeable to the change, Nyla felt it was in the best interest of the comic magazine to go ahead. Tunku Maziah added that Nyla had informed Ujang in February that his services would no longer be required in due course. “We were also upfront in informing him that in view of the continually declining sales of the comic magazine, we had to look at trimming our operating costs. He seemed to acknowledge the fact that cessation, which we subsequently confirmed in mid-April, was inevitable,” she said. Ujang is an influential figure in the local comics industry. 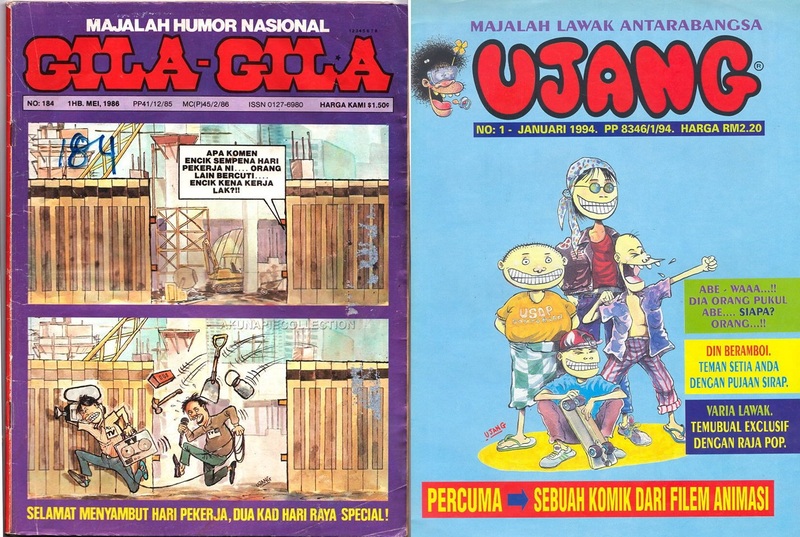 He made his name via the now defunct satire comic magazine “Gila-Gila” with his loose cartoon, “Si Tenggang”, and later released his own magazine using his pen name “Ujang” in 1992.